For storing small parts, pocket watches, etc. Business signs, clock & watch posters, etc. Description: Stained a reddish brown. With brass post for hanging pocket watches & other collectibles. Regularly $4.00/each. While supplies last. 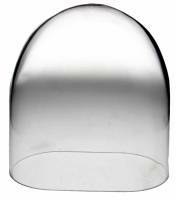 Glass Dome 4-1/4" X 7-1/2"
Description: Used on Schatz clocks and others. 4-1/4" diameter x 7-1/2" tall. Glass Dome 5-1/8" X 8"
Description: Used on schatz 1000-day clocks and others. 5-1/8" diameter x 8" tall. 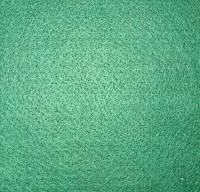 Description: Dark green, self adhesive padding is 1/16" thick x 12" square. Easily cut to size. Great for clocks, lamps, vases, etc. Description: Multiple uses. Double sided. 1" diameter. 15 pcs./pack. China. Glass Watch Display Dome With Oak Base 3" X 4"
Description: Glass dome with an oak stained hardwood base and a removeable brass hook. Felt pads prevent sliding and protects furniture. 3" diameter x 4" tall. Description: 1" wide x 72" long double sided mounting tape has adhesive on both sides. Description: 36 piece pack of 9/16" diameter self adhesive cork pads. Description: 30 piece pack of 5/16" and 1/2" diameter self adhesive rubber dots. 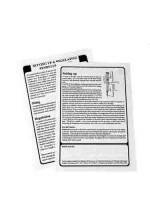 Description: 2 sided sheet explains how to set up a pendulum clock. Use as a handout. 5-3/4" x 8-1/4". Description: Plastic watch display stand is 1-3/8" diameter x 1-5/8" tall. Displays pocket watches, either open or hunting case. Imported. Description: Walnut stained wood base for 3" glass domes. Description: Walnut stained wood base for 4" glass domes. Description: Walnut stained wood base for 5-1/2" glass domes. 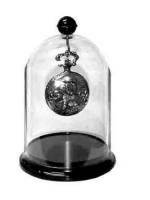 Glass Dome 5-1/2" X 9"
Description: 5-1/2" diameter x 9" tall glass clock dome. 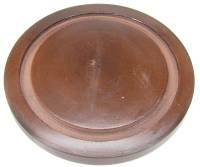 Description: Walnut base is grooved to accept a 4-5/8" diameter dome. Glass Dome 4" X 7"
Description: 4" diameter x 7" tall glass clock dome. Glass Dome 7-1/2" X 16"
Description: 7-1/2" diameter x 16" tall glass clock dome. Description: 46 pieces of 3/8" and 1/2" diameter self adhesive felt pads. 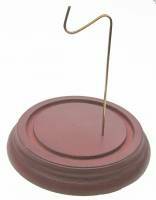 Description: Brass pocket watch display stand has a 2-1/2" square base and is 3-3/4" tall. Beautifully displays open fase pocket watches. Made in India. 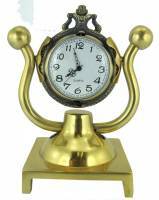 Description: Brass pocket watch display stand has a 2-1/2" square base and is 3-3/4" tall. Beautifully displays hunting case pocket watches. Made in India. 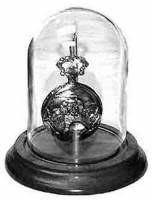 Glass Dome 5-1/2" X 11"
Description: 5-1/2" diameter x 11" tall glass clock dome. 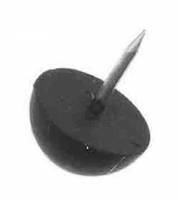 Description: 5/8" diameter black rubber bumper is 3/8" tall. Nail is included. Glass Dome 3" X 4"
Description: 3" diameter x 4" tall glass clock dome. Glass Watch Display Dome With Walnut Stained Base 3" X 4"
Description: Glass dome with a walnut stained hardwood base and a removeable brass post. Felt pads prevent sliding and protects furniture. 3" diameter x 4" tall. Glass Dome 5-1/2" X 10"